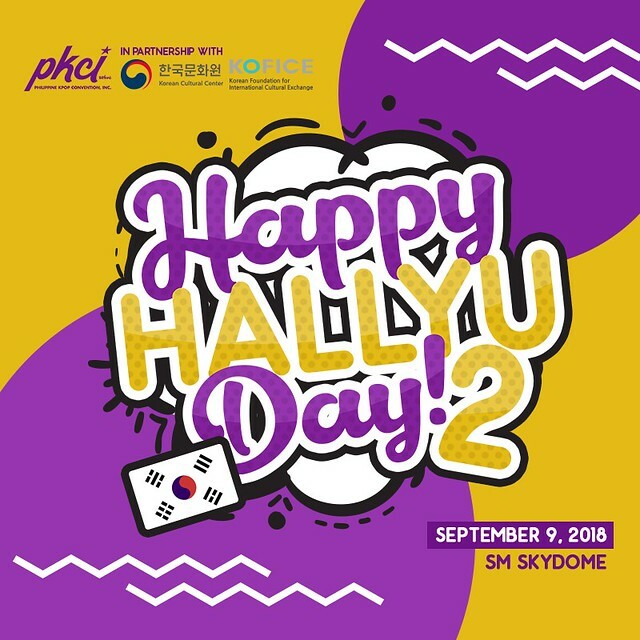 Philippine K-pop Convention, Inc., in partnership with the Korean Cultural Center in the Philippines and Korean Foundation for International Cultural Exchange, proudly presents HAPPY HALLYU DAY 2! It’s back to give another day of exclusive experience of the ever growing Korean Wave! K-beauty expert and Youtuber, Ms. Raych Ramos, will let you in her secrets in achieving the perfect Korean look while Sparkling Magazine’s Editor in Chief, Ms Belle Yambao, will share tips that will complete your dream Korean travel itinerary! 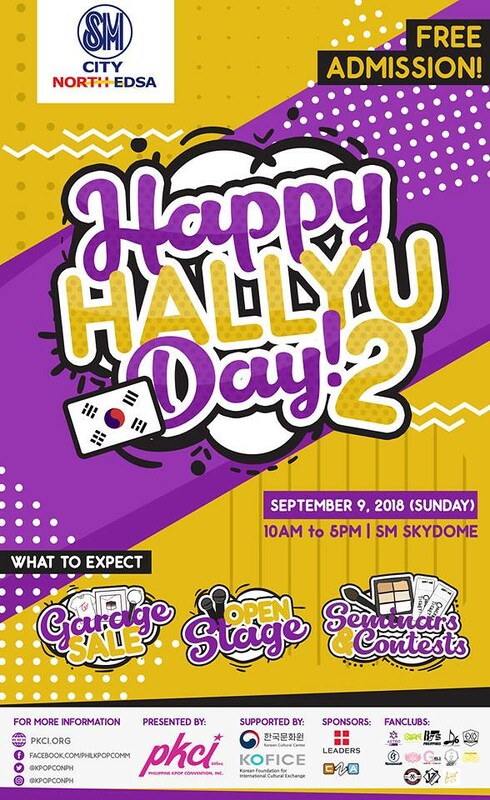 LEADERS Leaders Philippines, the leading brand for skin care and mask sheet in Korea and CNA Philippines, the retail of fashion accessories, Korean cosmetics and K-POP Items, will be joining us for more fun games and raffle draws! CHAOS, the winner in KOSMOS: The First K-pop Boy Group Festival 2018 will be wowing us again with their powerful moves and the 2018 Pinoy Kpop Star Grand Winner (vocal category), Ms Venisse Sy, will grace our stage as well with her grand voice. Numerous talented aspirants will advance for the Open Stage, taking the chance to be one of the front acts for #KPOPCON10. Kpop and Kdrama merchandises will surely be available for those who did their #iponing! 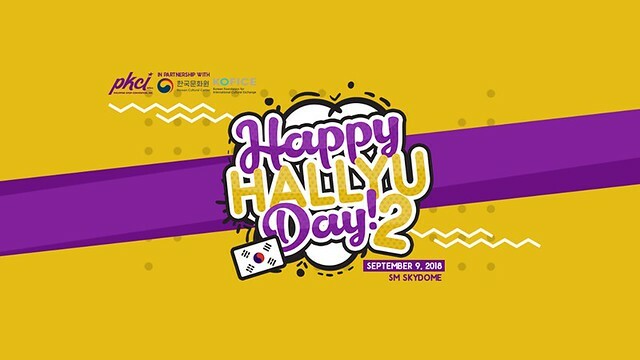 The Happy Hallyu Day 2 will be filled with lots of entertainment and of course, the rich and popular culture of Korea. The event is happening on SEPTEMBER 9, 2018 at the SM SKYDOME, SM North EDSA. In partnership with the Korean Cultural Center in the Philippines, Korean Foundation for International Cultural Exchange; sponsored by Leaders and CNA; and in media partnership with Sparkling Magazine. Admission is FREE.